The way we work is shifting. We see that invisible ways and other subtle ways. Even large companies like Atos, CEMEX, Procter & Gamble, Unilever, Sanofi or Dassault, are strongly committed in social collaboration transformation, realizing that it is the best way to stay ahead of the curve. Those with a real competitive advantage intuitively understand innovation and creativity as essential to meeting market demands and crucial in facing our collective sustainability challenges. The future of work as we know it is shifting from an outdated directive approach toward collaborative frameworks that inspire us to engage in new and different ways with our work and with each other. However, unlike other early adopters who have deployed social collaboration to address specific key business issues, Atos has deeply implemented social collaboration globally in all its operations. We focused first on business transformation addressing the collaborative and management culture. 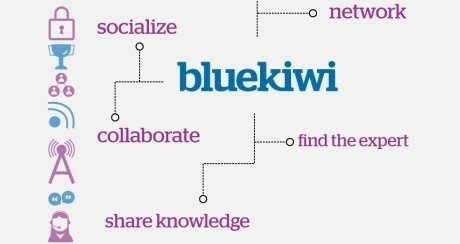 76,000 employees joined blueKiwi, our social enterprise network, collaborating together in 7,500 communities. This strong communities landscape has removed many invisible silos and is making our global organization “closer” and “smaller”. Also by creating open communities we enabled new transversal cultural collaboration with connected employees able to find the expert, share knowledge, work together and socialize no matter where they are based. Many colleagues are leaving their individualism mindset to adopt the collaborative culture. Our Zero Email ™ program is engaging all employees with a much more open and collaborative management style and ensuring everyone is well connected to goals and ambitions. It’s essential to be open and transparent, building on trust and respect if you expect to get the full support of your people to your strategy. Over the last few years a lot of effort was spent on perfecting global processes with a Lean approach; reducing costs, restructuring, enlarging offshore capabilities and integrating largely acquired organizations with a global top down mindset. With the implementation of transversal communities in collaborative tools and new ways of leading teams based on participation, we have enabled a new collaboration mindset with engaged employees. Today experts are taking pride in sharing their expertise. People are starting up their own communities, to share interests and help each other out. Social collaboration is changing the nature of our organization into a new unique and social culture. Enterprise Communities Management had a pioneering role for managers and team leaders. In large communities this helped manage the cultural shift for their landscape and collect business outcomes through their complementary communities. Another lesson from the Zero email ™ initiative is to be systematic with the adoption program. 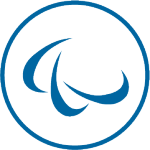 Atos has thousands of ambassadors (3,500 in February 2014) and champions training their peers and socializing the tools internally. This is key to driving fast adoption. Another key was creating communities for experts to answer questions raised by colleagues, customers, and partners instead of using classic workforce management strategies to assign employees to tasks. By engaging volunteers and strengthening communities with ambassadors, digital networks generate great benefits that we see through success stories. Many communities are now reinforced by voluntary ambassadors and experts. As an example, an open French community "IT & Process" is a great success with the adoption of volunteers were engaging contributors really helps the IT department to improve project implementation, documentation or solving incidents. IT Management France improved awareness and understanding of local IT support to all employees by sharing real time information, best practices and tips in their open community. Atos recognize that email is a key hurdle for collaborative transformation. And the replacement of email with collaborative technologies has resulted in a profound cultural shift at Atos. The working culture has evolved from one based on hierarchies and command-and-control to a more open environment in which employees and leaders can engage with each other more quickly and easily. Emails assigning employees to tasks are being replaced by discussions in online communities where managers and employees can communicate with each other, generate new ideas, and share best practices. Every day Atos sees that collaborative operations contribute to more efficient teamwork. We measured that 25% of work time previously spent every day on email activities, is now spent on business activities for pilot project communities. It is also Interesting to see that for some project works they move from traditional resource allocation to open co-creation, from a classic teaming approach to a scalable workflow. In summary from emails to Collaboration. Multiplying by 20 our collaborative contributions: 2M views were performed during December 2013 with more than 300k contributions posted in a month. Today teams and communities who have made the change by implementing collaborative habits in addition to our Enterprise Social Network are seeing progressively that their employees’ collaboration has a tremendous value for our customers, projects and services. And many employee testimonies explain their key benefits of their social collaboration journey in term of Innovation, bid and employee support, time saving, networking and communication, knowledge sharing, for greater well-being at work. Why do you need to achieve these large-scale cultural changes in your business? To meet the employees needs with interest communities and by sharing knowledge and best practices, interest or passions. And a last lesson learnt from our three years of Zero Email experiences: be patient! You’re not going to turn into a social business just in few months. We set a long term timetable to get to our Social Collaboration objectives and decrease internal email, and it will still take more time before we get close to our final goal. Social Collaboration implementation is a marathon, not a sprint. Its transformation begins in the inside of our organization and gradually grows out to become a real social business ecosystem with employees, partners and customers. François d'Anselme is Head of global Social Business Center & Social Collaboration at Atos. Within Atos International he is responsible to develop the Social Business Center and to listen, monitor, engage & amplify social media conversations around our brands & markets. As a social business expert he is helping several clients to develop Social Business practice able to unleash all the benefits of social datas and provide several use cases. He has been in the IT Services and consulting for 20 years, leading different consulting and communications projects as business Partner. François is also one of the pioneers of the Zero Email(TM) initiative to develop a social collaboration culture. Quantum computing in Financial Services, worry or be happy?